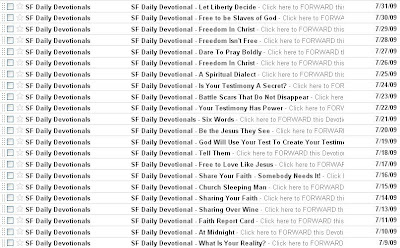 What E-mails do you receive in your Inbox how about filling your inbox with with nice devotional stuff look at the above picture of my inbox fill your inbox . The FREE Streaming Faith Daily Devotional is published each and every day. 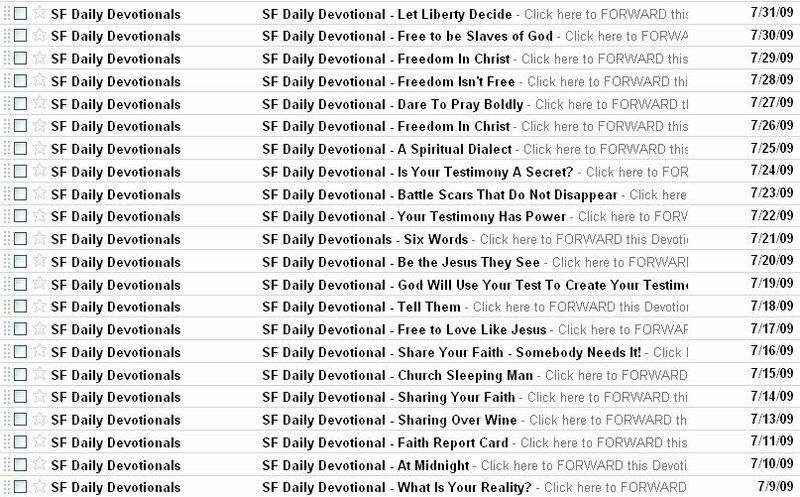 Subscribe and receive the Daily Devotional in your inbox each morning, so that you can start your day off right.